Childfund have begun circulating an online petition to raise awareness of global violence against children, particularly those living in poverty, and to encourage investment in and implementation of programmes aimed at reducing this violence. A very worthy petition to read about and sign. 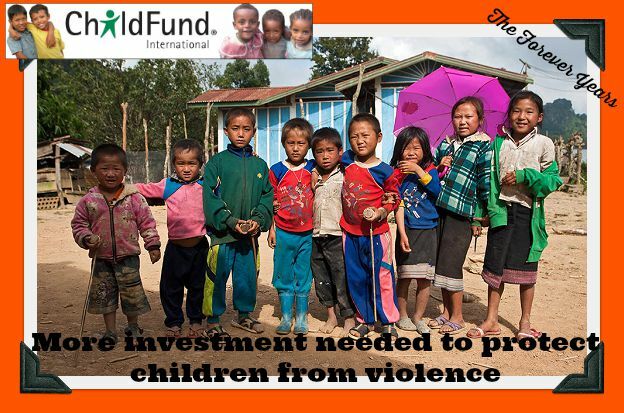 More investment needed to protect children from violence. ChildFund wants Kiwi children aged 10 to 12 years to have their views heard worldwide in the largest global survey of children’s opinions. Now in its sixth year, ChildFund’s Small Voices Big Dreams survey asks children their views on important issues. (The survey also exists through ChildFund for kids in other countries). Last year more than 6,000 children in 44 countries from Afghanistan to Nicaragua to Zambia gave their views on child rights to mark the 25th anniversary of the UN Convention on the Rights of the Child. Watch what children had to say in our 2014 Small Voices Big Dreams Survey. Every year, the results of the Small Voices, Big Dreams survey provide insights into childhoods around the world – both the differences and the many similarities says ChildFund New Zealand CEO Paul Brown. This year the questions focus on children’s views on safety and protection for children. None of us choose where we are born or what circumstances we are born into. That’s why for me, sponsoring a child is not just an enriching experience in itself– which it most definitely is– but it is also about redressing the huge disparity that exists within our global family between the “haves” and the “have nots”. And the “have nots” in our world lack some very basic and fundamental necessities. Poor nutrition causes nearly half (45%) of deaths in children under five – 3.1 million children each year. That is 8,500 children per day. That means every 10 seconds, one of our children dies from hunger-related diseases. (Source: http://thp.org/knowledge-center/know-your-world-facts-about-hunger-poverty/). And I do view it that “we are all one” and all children are “our children”. If it is possible then, to make a positive difference in the life of even just one child– a difference which will be carried on into the future, as that child raises his or her own children, as well as a difference which permeates the lives of others in the community surrounding that child, why wouldn’t we? Wouldn’t we hope for the same kind of assistance in gaining independence and being able to sustain ourselves and our families if the shoe was on the other foot? 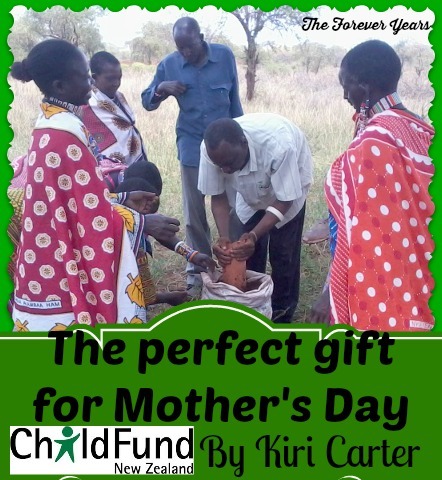 ChildFund provides the perfect vehicle for doing this in a way in which promotes independence and ensures that sponsor money goes directly to projects assisting the child in question and his or her community. 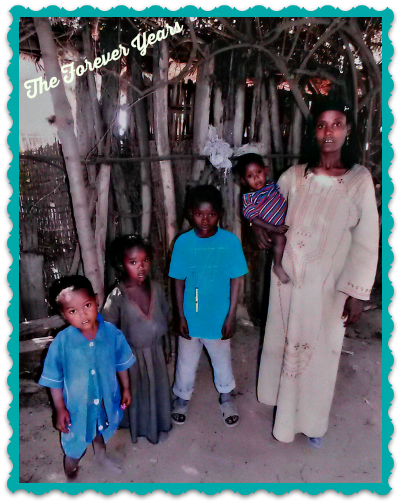 My husband and I have four children and our goal was always to sponsor four kids of similar ages to ours, in four different parts of the world. 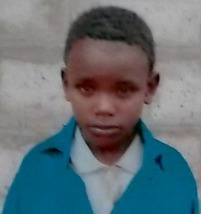 When our eldest son, now nearly ten, was born, we began sponsoring Hirpa, a boy the same age who lives in Ethiopia. We then found that our finances would not stretch to sponsoring three more children, but have instead taken on one more: Tham, a five year old girl in Vietnam. 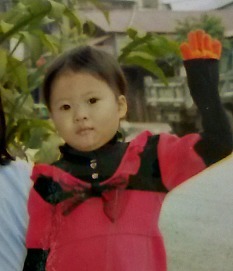 Sponsoring a child in Vietnam was important to me, as I spent three years living and working there and was treated well by Vietnamese people. I also learned the Vietnamese language while there, so can communicate with Tham and her family in their mother tongue (although our kids write to her in English, which is translated by ChildFund in Vietnam). A recent photo of Hirpa (3rd from left) with his mother and siblings, Ethiopia. Sponsoring Hirpa and Tham has been a really good experience for our four children here in New Zealand. We have tried to write to them as regularly as we are able and the kids like to draw pictures for them and ask them about their countries, cultures and families. Around the world there are commonalities of childhood which transcend the barriers of language, race and distance. Hirpa has three siblings and likes playing soccer with his friends. Tham paints pictures at her kindergarten (some of which she has sent to us) : these are the kinds of things our children can readily relate to and enjoy doing too. In part because of my own experiences working abroad and travelling, I believe that forming friendships and links with individuals is important in helping our children become “global citizens” and developing a notion of the world as their “global family”. Through technology, our world is becoming smaller and smaller. I believe there are ways in which we can improve our world for future generations. Instilling our children with a “global view” of life and an understanding of how their peers around the world live, why there are inequalities (both at home and abroad) and the human side of our history and our present is integral to achieving this (as is having faith that such improvement is possible). Although young, our four children realise, through my stories of experiences overseas and through their contact with Hirpa and Tham, that poverty effects individuals, including kids like themselves. Hirpa and Tham and their familes are kind of honourary members of our family: whenever we receive new pictures of them we put them up for a while in our lounge and talk about how they are doing. I believe that this has instilled a level of emotional intelligence and global awareness in our kids. 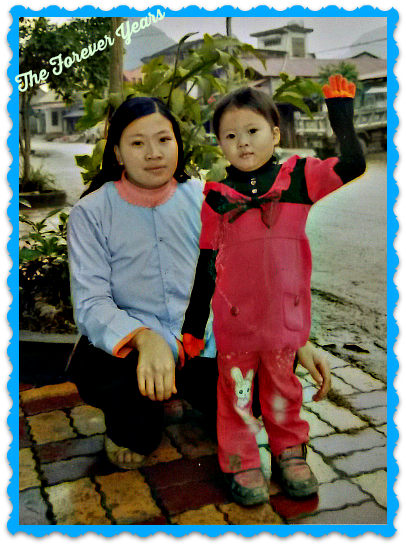 A recent photo of Tham, our sponsored child in Vietnam, with her mother. We enjoy hearing about the special festivals and cultural events in Hirpa and Tham’s lives which are so very different from our own. Tham’s family are rice farmers, while Hirpa’s herd cattle. Both children have to take an active part in helping their parents with these occupations. I remember, some years back, when Hirpa (perhaps age three or so) was really ill and had to be taken to hospital. His medical care was covered through our sponsorship of him with ChildFund. My eldest son was most concerned and drew pictures for Hirpa and we prayed for him and his family together. We often remember Hirpa and Tham in our prayers. Fortunately, Hirpa came through his illness. I know there are people out there who don’t agree with the idea of child sponsorship and I honestly can’t understand why. During my time living in Vietnam, I worked for another child sponsorship organisation, Plan International. Through this I saw first hand the difference that having a one on one sponsor made to the lives of children in the poorer communities. Just the psychology behind knowing that someone in a completely different country and culture, who has never met you, is prepared to offer support of this nature has been shown to be a tremendous source of encouragement to sponsored children. Letters, photographs and gifts received by children are often treasured for a lifetime. Sometimes a sponsor will visit a child, which always creates great excitement in the whole community. Putting an individual face to a situation (rather than just a label, such as “poverty in Africa/ Asia”) goes a long way towards making people care. And, in my experience, when people care enough, good things start happening. 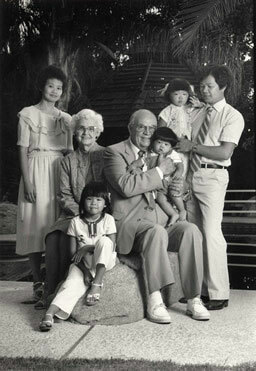 ChildFund was founded on October 6, 1938 as China’s Children Fund by an American Presbyterian minister Dr. J. Calvitt Clarke to aid Chinese children displaced by the Second Sino-Japanese War. As the mission expanded to other countries, the name was changed on February 6, 1951 to Christian Children’s Fund. ChildFund International changed its name in 2009 but ChildFund New Zealand changed its name in 2005. The name change came about because ChildFund was never a Christian mission organisation and didn’t evangelise. However, because of the name, people wrongly believed that’s what we did. Rather our organisation’s purpose was based on the Christian values of its founder. A decision was made very early on to not proselytise, so as to be accepted in any community where children needed our help. [Source: Wikipedia and ChildFund New Zealand]. There are a number of excellent child sponsorship organisations out there. 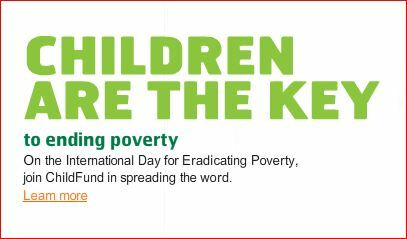 We like ChildFund because it is a strong, international organisation which has been assisting children in poverty and their communities for over 75 years. Sponsoring children in 30 countries and reaching 18.1 million kids and their family members, ChildFund works in places where poverty’ s grasp is strongest. ChildFund has a history of reliably making sure that the maximum possible amount of sponsor’s funds goes to the children, their families and their communities. Personally, as a busy Mum with four active children, I like that ChildFund makes it easy for us to sponsor Hirpa in Ethiopia and Tham in Vietnam. Not only are we sent regular reminders of things like birthdays, but are also given cards to sign and freepost envelopes to return them in, making it easy for us to maintain regular contact with the kids we sponsor, particularly at times when it is important. I also like that ChildFund send us regular progress reports about how our sponsored children are doing, as well as up to date photos. This helps maintain the connection from both sides, as well as showing us how the children’s lives are being improved through their sponsorship. It is easy to call ChildFund at any time, should concerns or questions arise, and I have found them to be efficient, professional and always willing to put the needs of the children first. 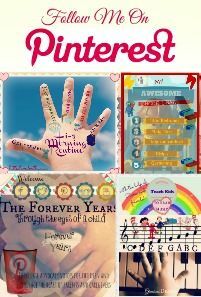 * Try to write to your sponsored child regularly: they LOVE to hear from you. Letters don’t necessarily need to be long and, as the old saying goes, “a picture speaks a thousand words”: so a brief note and a photograph of you and your family will always be treasured. People have busy lives, but I’ve found it’s possible to write to our sponsored children 3-4 times a year. As I’ve said above, ChildFund are great at providing cards and so on to send too. * If you feel you can’t afford to sponsor a child, there are other options, such as joining with other families or friends and sharing sponsorship. 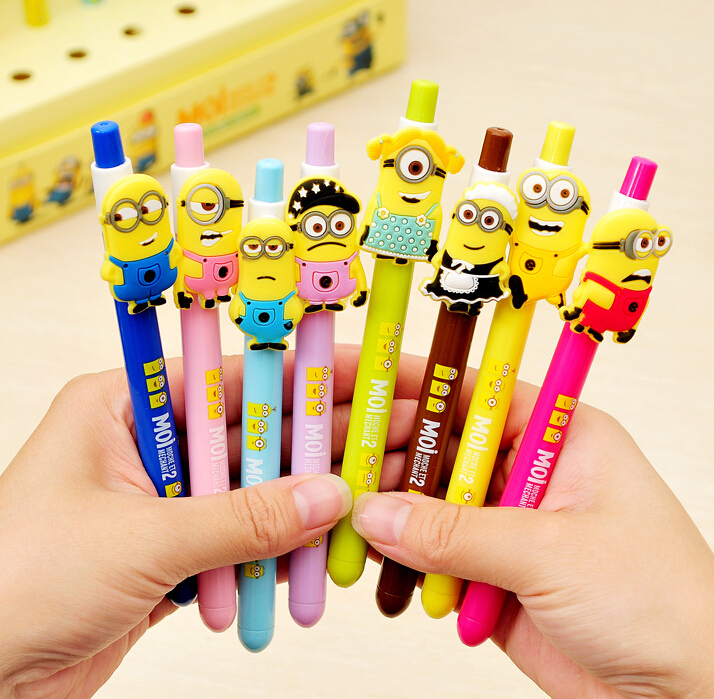 Some schools, kindergartens, churches and offices also sponsor kids. It is good for the sponsor child to know the names of one or two individuals among a group of sponsors and, of course, receive letters and pictures (see above). * If you begin sponsoring a child and your circumstances change to a point where you feel you can’t continue, don’t feel bad. Do explain to your child what is happening and perhaps look for other individuals or groups who might be willing to sponsor him or her. 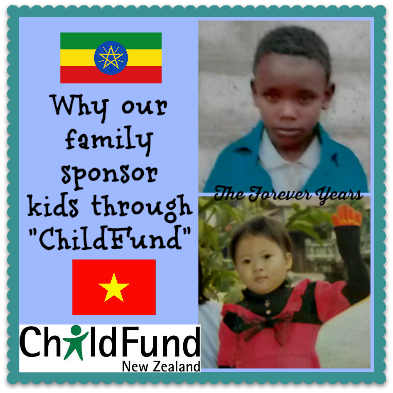 Having said this, I know a number of people who have continued sponsoring children, despite tough times in their own lives, including some of those who lived through the Christchurch earthquakes: some people find continuing sponsorship in tough times a motivating and strengthening experience– it has to be your call. * Some people like to send their sponsored child a gift from time to time. Gifts needn’t be particularly expensive and large, costly items (aside from being expensive to post) can cause jealousy and disharmony within your sponsor child’s family and community. There are lots of small light-weight items which will be really appreciated by your sponsored child. These include: t-shirts, shorts, undies, toy cars, hair clips, hair ties, notebooks, pens, stickers, balloons, small soft toys and light weight story or colouring books, coloured pencils or crayons (wax crayons seem to be more durable than oil ones), pens or pencils (if sending any kind of pencil, don’t forget a sharpener and rubber). Keep in mind your sponsored child’s mother tongue if sending story books. We have sent some to Tham translated into Vietnamese or you can send very simple ones with more pictures and few words: they will still enjoy looking at them and can write the words in in their own language. If your sponsored child has siblings (as in the case of Hirpa, the boy we sponsor in Ethipoia) learn their names too and send a small gift for them also. Items such as hard soap, facecloths, pencil cases, foldable, light cloth bags and toothbrushes also go down well. Don’t send anything which might melt, leak or break– things such as toothpaste, shampoo, playdough and bubble mixture are best avoided. As Mother’s Day approaches, stories about motherhood abound. One theme repeated all around the world is the challenge of getting children to eat nutritious food. 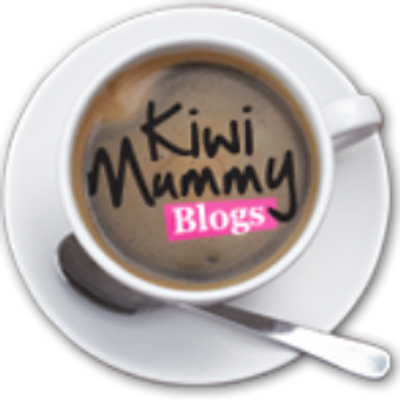 Kiwi mums have plenty of choice when it comes to healthy food options and strategies to get kids to eat well. But imagine living in a place where nutritional knowledge is scarce and food variety even scarcer. Where it’s accepted practice to fill up your toddler on weak milky tea. Where, as a result, three-quarters of children between three and five years old suffer from iron deficiency. That’s the reality for Maasai children in the rural community of Emali, Kenya. The Maasai are one of two tribal groups in Emali that ChildFund works closely with, the other being the Kamba. The Maasai are pastoralists raising cows and goats, while the Kamba are farmers, working the land to grow crops. It would seem like an ideal union but it’s a hand-to-mouth existence for almost all the families there. Invited by ChildFund and funded by the New Zealand Government’s Aid Programme, nutrition scientists from Otago and Kenyatta universities ran a study that found many children from both groups had anaemia, iron and zinc deficiencies. The children also suffered from frequent stomach upsets, fevers, and respiratory illnesses. To combat this vicious cycle of illness and malnutrition, parents, local teachers and caregivers have started to learn about better nutrition. They are learning about concepts such as toddlers needing smaller, frequent and substantial meals. Of course knowledge is power, but food and tools have to be available to put it into practice. Nutritious green vegetables, for instance, are easily grown in hessian or gunny sack bags. 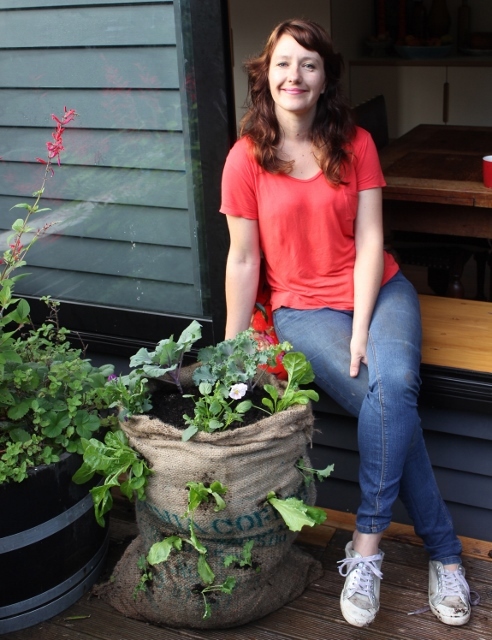 These gardens are put together with a sack, soil, an old pipe and gravel. 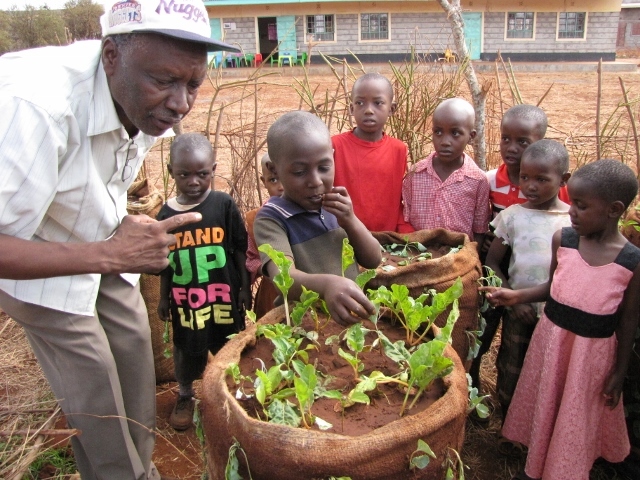 Easy to make, using less water, space efficient, mobile, and able to grow a variety of greens, the gunny sack gardens are now being grown in preschools and home gardens in Emali, and provide much needed variety and nutrition for young children. 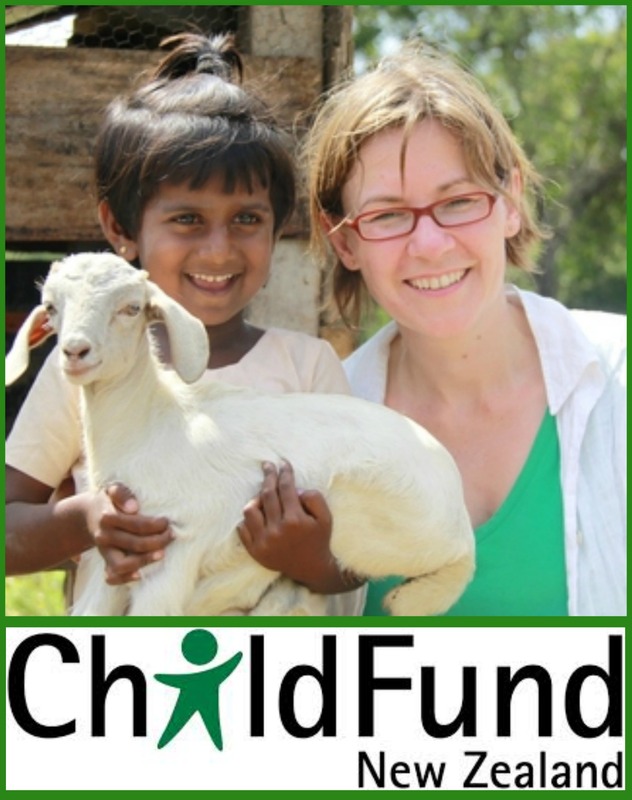 Kiri (right) with two “friends”, working for ChildFund NZ in Sri Lanka.